What’s the Difference Between Microsoft Office for Windows and macOS? The Windows version of Microsoft Office has always been the gold standard for office suites, as far as features are concerned. Office exists on other platforms too, like the Mac—but those versions are missing some products and features. RELATED: What’s the Difference Between Microsoft Office’s Desktop, Web, and Mobile Apps? Microsoft recently announced a big update to Office 2016 for Mac. Check out that link for a detailed list of updates, but the big stuff includes bringing some long overdue features to the macOS version, like collaborative real-time editing, automatic saving of documents stored in the cloud, and Google Calendar and Contacts support in Outlook (finally). That said, there are still features (and entire apps) that you might miss out on if you’re working with the Mac version. If you’re switching between Windows and Mac (maybe using one at the office and one at home), or maybe thinking of moving from Windows to Mac, it’s worth comparing the available features in the two versions. The big question is do you need to install Windows on your Mac using Boot Camp or Parallels just so that you can run the Windows version of Office, or can you get by with just buying the Mac version (or, better, using one of the installations that comes with your Office 365 subscription)? What Products Are Missing from the Microsoft Office Mac Suite? Microsoft sells Office for Windows in various editions. Almost all editions come with Word, Excel, PowerPoint, and OneNote. Depending on the edition you buy, you might also get apps like Outlook, Publisher, and Access. Publisher: Publisher is an entry-level desktop publishing app, aimed mostly at home users. There’s no Mac version. While you can easily find comparable apps for macOS, it’s unlikely you’ll be able to bring your Publisher files from the Windows version across very well—at least not without having to work them back into shape. Access: Access is a relational database management system that comes with the Professional editions of Office for Windows. You can’t get Access on the Mac, so if you (or your company) works with Access databases, you’re out of luck. Visio: Visio is a diagramming and vector graphics app that lets you visualize complex information in the form of diagrams, graphs, flowcharts, and other forms. There’s no Mac version, so if you need it for work, you’ll need access to Windows. Project: Project is a project management app that hooks into a company’s Outlook and Exchange Server setup. It lets project managers develop project schedules, create and assign tasks and resources, and manage it all with real-time input from people’s calendars. There’s no Mac version. If you really need any of the specific apps we’ve listed here, you’re going to need run Windows and the Windows version of Office. What Features Are Missing from the Mac Versions of Word, Excel, PowerPoint, Outlook, and OneNote? So what about the core Office apps that are available on the Mac? While there are a number of very small features missing (stuff that affects very few people), most of the features you find in the Windows versions are present in the macOS versions. Here are the main things you’ll miss out on, though. Visual Basic: Visual Basic integration lets you record and use macros to automate tasks in your Office documents. While macro support is included in Office on macOS, that support is not quite as fully featured as it is in the Windows version. If you make extensive use of macros, or use complicated macros, you should expect that some won’t work. SharePoint Integration: SharePoint is an intranet product used to share files, distribute news, and streamline collaboration on projects. 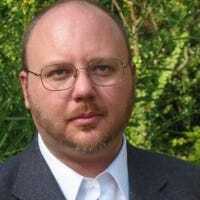 If you’re using a Mac and connecting to your company’s SharePoint servers, you might find that some aspects of SharePoint are not as well-supported as they are in the Windows version of Office. There are, of course, some other missing suite-wide features, but they really pertain to installations that are part of a company network. For example, roaming (the ability to use Office on different computers and have your configuration follow you) is not available for macOS. However, if your system is part of a company network, these things have likely been thought out in advance. Open and Repair: While the Mac version of Word can attempt to automatically repair a corrupted document, it doesn’t have the specific Open and Repair command featured in the Windows version. This makes it harder to recover files that Word might not recognize as Word documents. Embed Fonts: When you embed fonts in a document, they are included in the Word file. That way, when someone else opens the file, it displays correctly even if they haven’t installed the fonts you used. You cannot embed fonts in the Mac version of Word. Digital Ink: This feature provides freestyle drawing tools that you can use to draw, write, or highlight areas on your document. It’s not available on the Mac version. Document Inspector: The Document Inspector scans your Word document and removes hidden data and personal information, making it safer to share documents with others. This feature is missing from the Mac version. 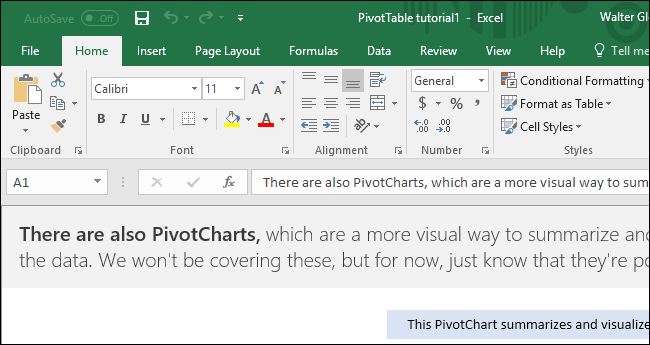 PivotCharts: While the Mac version of Excel fully supports PivotTables, its support for PivotCharts (charts derived from PivotTables) has always been lacking. The January 2018 update to Office 2016 for macOS does bring the Mac version’s support of PivotCharts more in line with the Windows versions, but you may still find some charting abilities missing. Built-In Database Connectivity: Excel for macOS doesn’t support the built-in database connectivity options that the Windows version does. These are some pretty “power user” features, so it’s likely you won’t miss them much. The Windows and Mac versions of PowerPoint are also mostly in parity. That said, there is one feature worth noting that’s missing on the macOS side of things: video and animation triggers. These triggers let you make an animation effect begin playing when you click the object being animated, or automatically at the beginning of an audio or video clip. Note that the Mac version does feature all the same animations, and does let you trigger animations with a general click or by setting a timer. It just doesn’t include the advanced triggers that the Windows version does. Most of the Outlook features missing from the Mac version have to do with advanced features you see when connected to an Exchange server. These include things like access to public calendars, distribution lists, retention and compliance features, receipt tracking, and various social features like voting buttons. Save As for Emails: In the Windows version of Outlook, you have access to a Save As command for emails that lets you save them as messages, PDFs, or whatever outside the Outlook message database. You can’t do that in the Mac version. 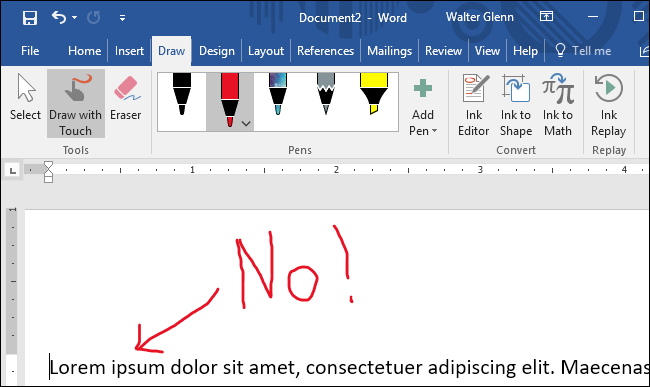 Word as an Email Editor: The Windows version lets you use Word as your email editor, granting full access to Word features like formatting and autocorrect. The Mac version does not. Side-by-Side Calendars: In Windows, you can view two calendars side by side. In macOS, you can’t. That isn’t a lot of missing features (unless you’re part of an Exchange-based organization), but how important they are depends on you. And, as we mentioned before, the newest update to Office 2016 for macOS now brings support for Google Calendar and Contacts—a pretty big missing feature for lots of people. Extensible: The Windows version is extensible, providing an API that allows for add-ins and some advanced features. The Mac version does not include this extensibility. Linking and Embedding: The Windows version of OneNote is stronger when it comes to embedding and linking files. For example, in the Windows version, you could embed an Excel file. 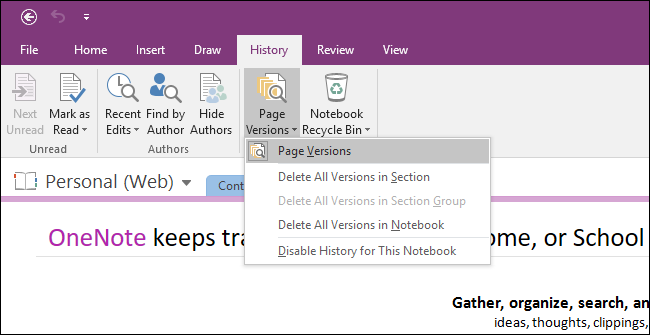 Clicking on that Excel file in OneNote opens a full, editable version of the file in Excel. On the Mac version, you can only open a read-only copy of embedded files. Versioning: The Windows version maintains previous versions of tabs that have changed. The Mac version does not. More Searchable: The Windows version lets you search handwritten text, as well as audio and video recordings. This feature is not available in the Mac version. If you’re not using any of these features, then you’d be fine using the Mac version of OneNote. As you can see from our lists, the features mostly missing on the Mac side of things are small, rarely-used features or real “power user” features mostly used in office settings. If you don’t need those features, and you don’t need the few apps missing from macOS (and we suspect that applies to over 90% of our readers), you’re probably fine going with the Mac version of Office 2016 or Office 365. And it sure beats jumping through hoops to get the Windows version running on your Mac!